We have beds in the guest rooms for up to 95 people. On top of that, we can put up to 45 people on mattresses in dormitories, and 10 people in the sleeping cubicles on the Tao gallery. 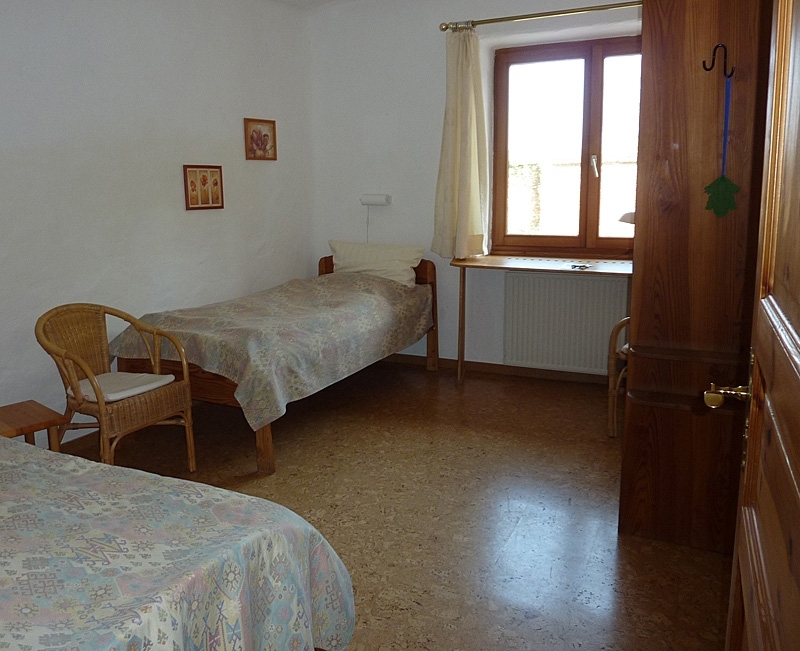 In the surrounding area there is also other accommodation available. We have plenty of space for tents and caravans/campers around our lake. 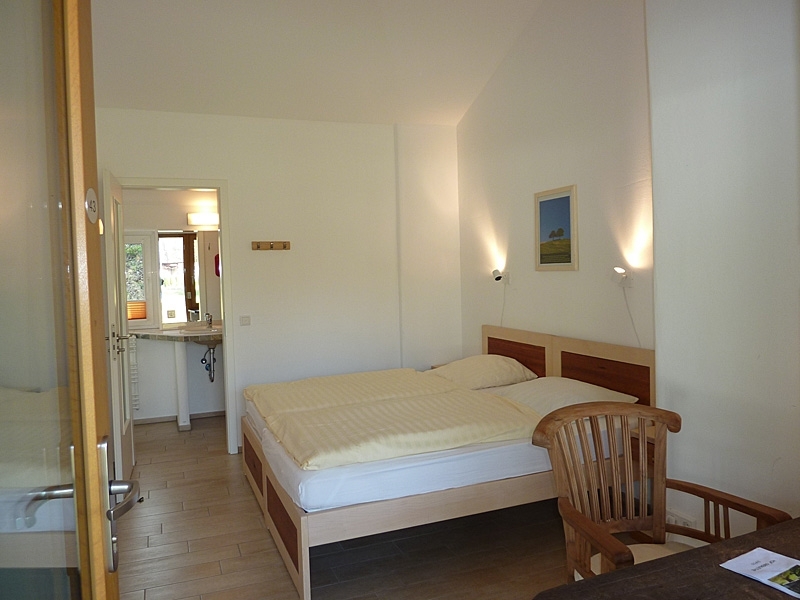 All our rooms have freshly made up beds, towels, and washbasins or bathrooms. 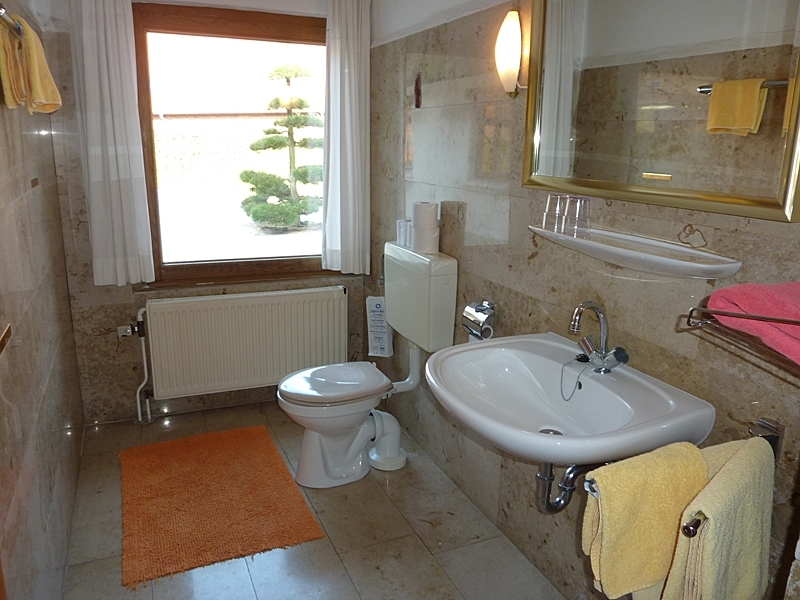 Upstairs in the main building, 2 to 3 rooms share a bathroom. 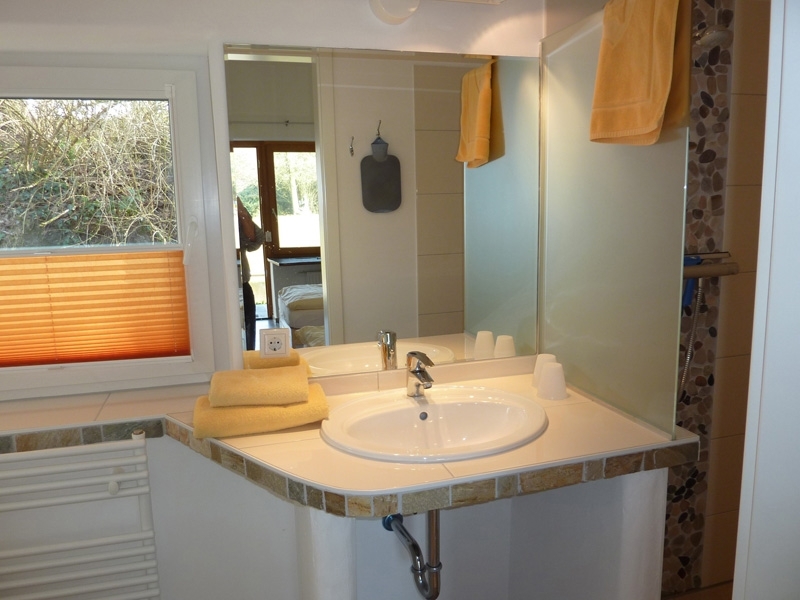 Some of our rooms have attached bathrooms; a few with bathtubs. 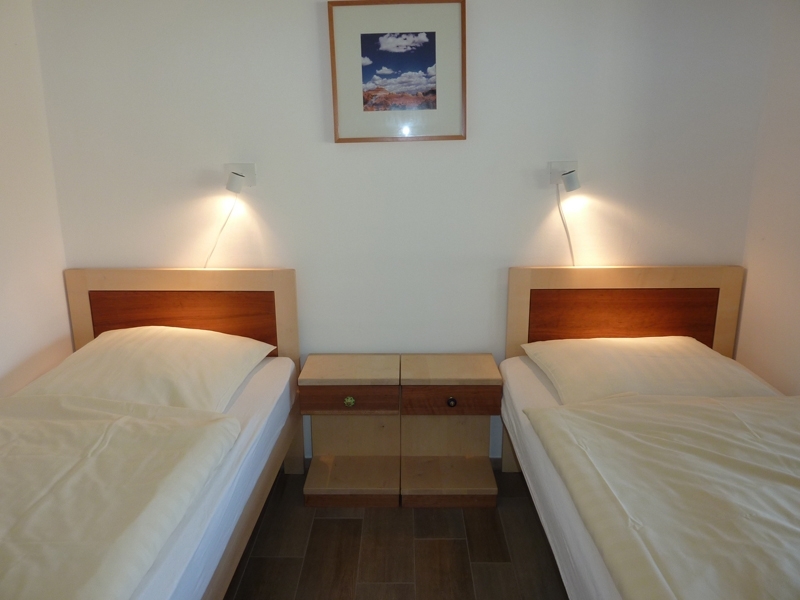 Extra beds can be placed in some rooms.